Ecclesall Kids Club is committed to building a ‘culture of safety’ in which the children in our care are protected from abuse, harm and radicalisation.We publicise our Safeguarding Policy Statement on our Club walls and our policy on our Website. Our policy is supplemented by detailed procedures provided by the Sheffield Safeguarding Children Service (SSCB). Our policy signposts staff to the Designated Safeguarding Leads (DSL) responsible for Safeguarding in our setting, the form to use, key contacts and procedures set out in the SSCB Safeguarding Policy and Procedures (2018). Our Policy and the SSCB procedures must be followed by all staff via the DSL immediately in the event of a Safeguarding concern or allegation about a child, parent, third party, volunteer or member of staff. The Club will respond promptly and appropriately to all incidents or concerns regarding the safety of a child that may occur. There will be a Designated Safeguarding Lead available (DSL) at all times while the Club is in session. The DSL coordinates child protection issues and liaises with external agencies (e.g. Social Care, SSCB and Ofsted). Though the DSL is there to support and guide staff through the Safeguarding procedures all staff need to know what to do in the event of a concern or allegation as they may be required to record and submit evidence with regard to what they have seen, heard or any safeguarding suspicions they have. Staff must also be aware what to do in the event they have any concerns about a colleague or a DSL. The Club’s Designated Safeguarding Leads (DSL) are the Play Supervisors: Ian Grayson, Emma Thackery and Denise Bluff. If they are not present, the Emergency Contact is the Club Business Manager – Denise Brown 07780 591017, Play Manager Hannah Gregory 07739 187093 or Julie Eades (the Committee Safeguarding Lead) on 07814 993010. In all cases you should escalate your concerns immediately through the club DSL’s who will take over or support you in deciding the correct course of action. In the the unlikely event the DSL’s or above emergency contacts are not available, do not delay, you must initiate general queries MAST or Sheffield Safeguarding Hub depending on the level of the Threshold of need (see Safeguarding File for information) to see if a referral to social care or alternative action is appropriate. You may also contact Early Help for general advice on Early Years children under 5 years old you may also contact our local Family Centre Hub for general advice. See the rest of this policy for names and contacts numbers. Staff will be expected to do all they can to stop the abuse without placing the child/children or themselves at risk, the DSL or their Deputy will always be on hand to help given the size of our settings but in an emergency staff should ring South Yorkshire Police without delay on 999. Staff will be required to liaise with the DSL (or deputy) and complete the SSCB combined Safeguarding concern/ incident/injury form to record the incident immediately or as soon as possible (copies are with this policy). involve the DSL at the earliest opportunity and seek advice whether it is appropriate to speak too or share this information with a parent, in some cases it may not be. record the incident as soon as possible (see below). If a member of staff suspects abuse or it is disclosed to them, they will record the matter straightaway using the combined Safeguarding concern/incident/injury form and immediately refer the matter to the DSL who will act in accordance with the SSCB procedures (including Signs of Safety and Thresholds of Need) at the rear of this policy. If a third party expresses concern that a child is being abused, we will encourage them to contact Sheffield Safeguarding hub on (0114) 273 4855 (we have a poster on the club notice board to signpost parents/carers who choose not to raise concerns with us to the safeguarding hub. If a concern is raised with us, we will explain that the Club is obliged to respond to this and the incident will be logged accordingly on the combined Safeguarding concern/incident/injury form and referred immediately to the DSL who may refer on to Childrens Social Care following advice from the Hub or MAST. We will obtain consent to a referral to childrens social care from the parent or carer where possible but not if this poses a risk to the child by doing so. The Safeguarding hub can advise on this when the case is initially raised with them, please also refer the club Data Protection Policy for information on consent and use of personal data. Significant harm is actual or likely harm caused by sexual, physical, emotional or neglect, or that involves witnessing harm to others eg domestic abuse AND that is sufficient to affect the child or young persons, normal physical, sexual, emotional, educational or social development. Consider whether immediate action is needed to secure the protection of a child or young person at risk to ensure their safety, inform the DSL or their Deputy immediately, if for any reason they are not available use the emergency contacts at the beginning of this policy. Record what you have seen or heard using the combined Safeguarding concern/incident/injury form. Involve the DSL immediately. FGM is sometimes referred to as female circumcision, female genital cutting refers to procedures that intentionally alter or cause injury to the female genital organs for non-medical reasons. The practice is illegal within the UK and to preform FGM on any UK resident outside of the UK is also illegal. CSE is a form of sexual abuse in which a child or young person is forced or manipulated into sexual activities, often in exchange for alcohol, drugs, attention or gifts. If a member of staff suspects that a child is at risk of becoming radicalised, they will record any relevant information or observations on the combined Safeguarding concern/incident/injury form and refer the matter to the DSL who will contact the SSCB Prevent Lead Hannah Appleyard or if appropriate the Police Prevent Team. Further details about the Prevent Duty and contacts are contained at the rear of this policy and in the Prevent Policy Addendum and the Prevent Duty Risk Assessment. The DSL on duty must record this on the combined Safeguarding concern/incident/injury form at the point the allegation happens or the incident occurs, they must also ensure relevant paperwork is completed (eg witnesses are identified, statements completed, copies of injury notes and other relevant paperwork is completed). Failure to do so may render them liable to disciplinary proceedings for failing to follow the club policy. The Club Business or Play Manager must be notified immediately to enable them to speak to the parent/carer, school, SSCB or police if appropriate. The Committee Safeguarding Lead must be notified. The allegation should be discussed with the Designated Officer in the Local Authority (LADO), the LADO may ask to see documentation or reports and will explain how these can be sent securely. The LADO will advise if other agencies (eg police) should be informed. No members of staff should ever be unsupervised with children so minor allegations may be investigated whilst the member of staff is still employed and should be dealt with under our conduct and behaviour policies. The DSL, Deputy DSL (and in their absence the Managers) are responsible for ensuring that both the member of staff and child are safe and monitored whilst investigations take place and witness statements are obtained or an investigation is concluded. It may be necessary to ask the member of staff not to attend work, deploy them elsewhere or suspend with pay pending investigation of the allegation, if the allegation is serious, witnesses were present (either child, staff or another 3rd-party eg school) or if a parent raises a serious allegation themselves. Although the welfare of the child is paramount the member of staff should be supported through the investigation as this may be a distressing time for them. All information about observed abuse, the suspected abuse or disclosure, or concern about radicalisation, must be recorded on the combined Safeguarding concern/incident/injury form as soon as possible, either during or if not possible after the event. The appropriate section of the more detailed procedures and training issued by the SSCB must also be followed as for the categories A to D above. All activity must be stopped, the DSL informed as soon as possible and the member of staff must be allowed to focus on what they have seen or are being told. The Club Business Manager, Play Manager and the Safeguarding Committee Lead Julie Eades must be notified of any need to complete a safeguarding concern/incident/injury form. Though confidentiality must be respected and any sharing of information must be confined to those who need to have it, is important that the club Business Manager, Play Manager and Julie are aware of any cases to support the DSL and to ensure the correct procedures are being followed. The DSL completes the final section in line with the SSCB Safeguarding procedures. Where appropriate the body maps in the rear of the combined Safeguarding concern/incident/injury form should be completed. The DSL who will also follow the SSCB Procedures at the rear of this policy, contact the appropriate services. For concerns about child abuse, the DSL will contact Childrens Social Care via the Sheffield Safeguarding Hub. The DSL will follow up all referrals to Social Care in writing within 24 hours using the SSCB referral form/MACF to confirm verbal discussions with children’s social care, and this must be sent securely via AnyComms or must be posted to Sheffield Safeguarding Hub, Moorfoot, North Wing Floor 9, Sheffield S1 4PL. Information must never be sent via normal email service as this is not secure. If a member of staff thinks that the incident has not been dealt with properly, they may ask to speak to Childrens Social Care directly. For concerns regarding radicalisation, the DSL will contact the LADO Hannah Appleyard Tel:273 4850, or preferably email LADO@sheffield.gcsx.gov.uk For more serious concerns the DSL will contact the Police Prevent Team via 101 contact number out of hours or Prevent_Inbox@southyorks.pnn.police.uk (9-5pm) or the anti-terrorist hotline on 0800 789 321. For urgent concerns the DSL will contact the Police using 999. 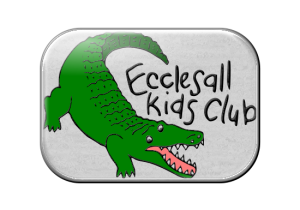 Ecclesall Kids Club will notify Ofsted and the local child protection agency of any serious accident, illness or injury to, or death of, any child while in their care, and of the action taken. Notification will be made as soon as is reasonably practicable, but in any event within 14 days of the incident occurring. The DSL has relevant experience and receives appropriate training in Safeguarding and the Prevent Duty, and is aware of the Channel Programme and how to access it. DSL training is refreshed every two years. Failure of any member of staff to complete Safeguarding or Prevent training as required will be dealt with in line with the Staff Disciplinary Policy. The Club Business Manager, Play Manager and Committee Safeguarding Lead have up to date and relevant basic training as a minimum. Safe recruitment practices are followed for all new staff in line with SSCB Safer Recruitment Training and practice in line with the Club Safer Recruitment Policy. Only staff who have completed Safer Recruitment Training are able to be involved in the Recruitment Process. All new recruits including supply staff will be expected to undertake mandatory basic safeguarding training via SSCB (core neglect and abuse) ideally before starting with us and this will be consolidated as part of their induction and whilst they are in post. They will be paid for their time to complete this training so it can be undertaken at the earliest opportunity. All staff have signed to confirm they have read a copy of this Safeguarding (Child Protection) policy, understand its contents and are vigilant to signs of abuse, neglect or radicalisation. Paid time is given to read this policy and procedures individually and at meetings to refresh knowledge. All staff (including supply) staff receive basic training in the Prevent Duty. Staff are familiar with the Safeguarding Policy and Safeguarding File training, SSCB procedures (including Signs of Safety and Thresholds of Need) and reference materials which are kept in the filing cabinet (infants) and file cupboard (juniors). The Club’s procedures are in line with the guidance in ‘Working Together to Safeguard Children (2018)’ and staff are familiar with the guidance in ‘What To Do If You’re Worried A Child Is Being Abused (2015) (issued with this policy and others as part of the Induction Pack). Photographs will only be taken of children with their parents’ permission. Only the club camera will be used to take photographs of children at the Club and these will be use inside the club for internal display or to record play or craft activities. Neither staff, volunteers, children, or visitors (including parents or carers) may use mobile phones in the Club or within the boundaries of the Club, this includes the use of mobile phones to take photographs. If staff observe anyone using mobile phones either in the club or in its boundaries this must be challenged in accord with the mobile phone prohibited signs, even if the person appears to be making calls or texting this is still not acceptable. By the boundaries of the Club, we mean inside our buildings, outside in our play areas, extending right up to the external boundaries that are under our control during operating hours. Any staff using personal mobile phones, personal laptops or personal cameras within the club boundaries will be subject to the Disciplinary Policy. This does not include the club camera, club mobiles (which do not have cameras or internet access) or the club laptops (which are not E enabled). Staff, parents/carers and other children are prohibited from posting photographs of children taken whilst at the club or in its boundaries on Social Media. For more details see the Mobile Phone Policy and Social Media Policy. Sheffield Safeguarding procedures are in the process of changing and there are new processes for Early Help etc – to avoid delay always contact the Sheffield Safeguarding Hub 0114 273 4855 (to discuss a case/make a referral) and if the concerns don’t meet the appropriate threshold (currently up to level 3 on the Threshold of Needs) they will signpost to the correct contacts. MAST – 0114 203 7485 for other safeguarding concerns. Where children are not at risk but may need support please refer them for Early Help. To make a referral please complete an Early Help Assessment part 1 form available at https://www.sheffield.gov.uk/earlyhelp. For further advice call MAST on 0114 2037485 (Children and Families Team) who may direct you to your local Family Centre Hub.